Described by MTV Europe as “the biggest DJ band in the world”, Ralph Kyau & Steven Moebius Albert celebrate their 15 year anniversary with yet another sensational album release. Starting their career in the mid-90s as an electronic band, the two Germans have captured the hearts of electronic dance music fans around the world with their distinctive powerful production and evocative vocals. What many people don’t realise is that the unique male vocal which often features in their tracks is actually that of Steven M Albert! 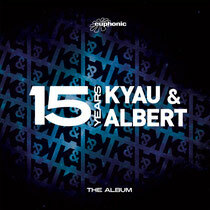 The forthcoming ’15 Years The Album’ features the most recognised and loved Kyau & Albert hits remixed by artists such as Arty, Cosmic Gate, Ronski Speed, Mat Zo, Super8 & Tab, Tritonal, Stoneface & Terminal and more. 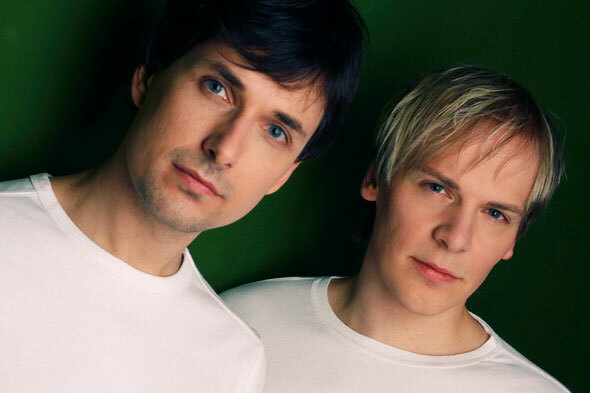 Kyau & Albert have also reworked some of their classics, but the album will also feature their latest hit singles 'A Night Like This' and 'On The Way' as well as their currently unreleased single 'This Love'. As renowned for their remixes as their original work, K&A have recently collaborated with dance heavy weights such as Above & Beyond and there is also a brand new track on Paul van Dyk’s next studio album. When not in the studio or on stage, K&A are working hard at their record label Euphonic. Founded in 1997, it is the longest running trance label in the world today. Their radio show 'Euphonic Sessions with Kyau & Albert' is syndicated on 24 FM stations around the globe and has over 27,000 podcast subscribers on iTunes. For years Kyau & Albert have toured the world playing for the most well known brands including Electric Zoo, Electric Daisy Carnival, Nocturnal, Nature One, Mayday, Trance Energy, Mysteryland and many more. Out 30th March.